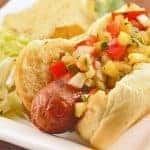 Slow-simmering hot dogs in beer gives them a mellow flavor and tender texture that’s a great alternative to grilling or frying. Naturally you can top them with anything you want, but we think out beer infused sauerkraut makes the perfect complement. 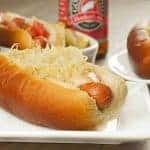 Hot dogs simmered in beer are deliciously tender and have a mild flavor that works perfectly with our beer-infused sauerkraut topping. Place the sauerkraut in a colander, rinse lightly with cold water and drain thoroughly. Transfer to a large skillet, sprinkle with sugar and add 1/2 cup of the beer. Bring to a slow simmer over medium heat and cook, stirring frequently, until the beer has cooked off, 10 to 15 minutes. Remove from the heat and set aside. While the sauerkraut simmers, place the onion, garlic and hot dogs in a sauté pan and pour in the remainder of the beer. Bring to a slow simmer over medium-low to medium heat. Cover and cook for 30 minutes, turning the hot dogs several times to ensure even cooking and flavor. 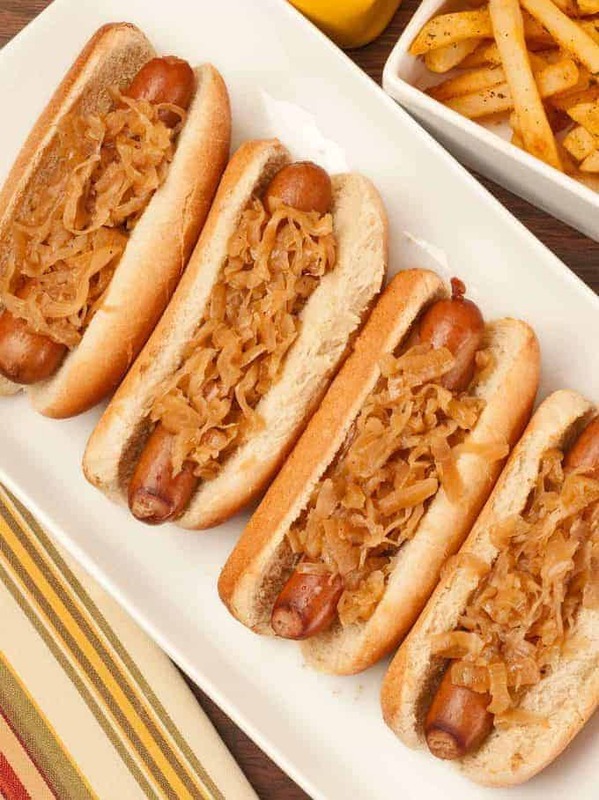 To serve, drain the hot dogs on paper towels, place in the toasted buns and top with sauerkraut. 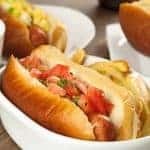 We’ve made this recipe on numerous occasions using different types of beer and we’ve found that a lager gives the hot dogs just the right amount of flavor without any residual bitterness. 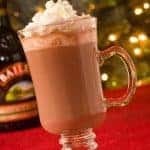 Samuel Adams Boston Lager is a great choice.